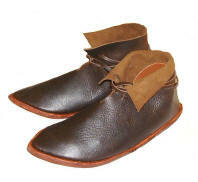 sara@vikingcrafts.co.uk The footwear is completely hand stitched with waxed thread. 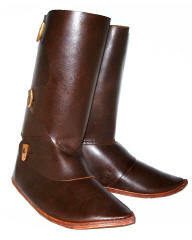 They are made with leather slats and a small 4mm heel nailed to the bottom for grip. If you would prefer a flat sole or thin rubber glued to the sole for extra grip, then please let me know.